Feel at home with our warm atmosphere. 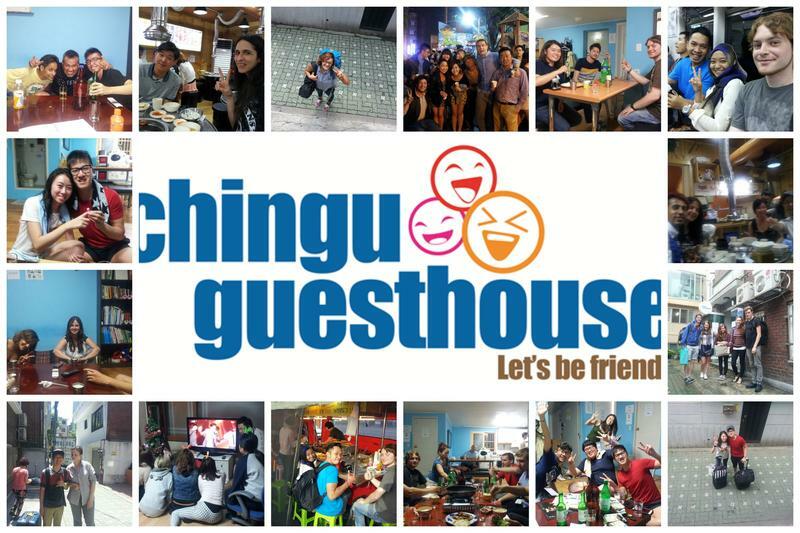 Kim’s Hongdae is a comfortable guest house where you can enjoy our quiet space or head out to Seoul’s famous music and clubbing district, Hongdae. We are minutes from Seoul’s best night clubs, bar and music venues. The Hongdae area is also a great place to eat Korean food or other international favorites. You won’t find better prices or more room options. Kim’s Hongdae has private double & single bed rooms and multiple shared bathroom dormitory-style accommodations (8, 6 or 4 bed). Our staff members speak multiple languages, from Spanish and English to French, Danish and Korean. Many of our staff members are also musicians and often perform in our main building our out on the streets on Hongdae. Kim’s Hongdae is conveniently located near Hongik University subway station exit 1 with easy access to Seou’s downtown area (via Subway Line 2) or Incheon & Gimpo Airports (via the Airport Railroad). Easy to find local and express buses can also offer inexpensive travel to other areas of Seoul and the surrounding suburbs. Kim’s Hongdae is a short walk from the thriving nightlife of the Hongdae neighborhood. Experience the center of Korean youth culture with countless bars, clubs, cafes, and live music venues. Enjoy shopping for clothes, cosmetics, and other items with countless shops that stay open late into the night. For a relaxing break take, you can also take a stroll to Han River for a quiet walk or bicycle ride. 4. Get off at 'Kyungnam Wedding Hall' Bus Stop. The bus ride takes about 40mins.